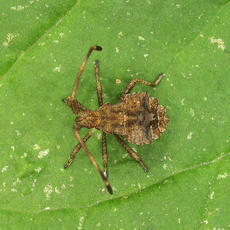 Length 13-15 mm. 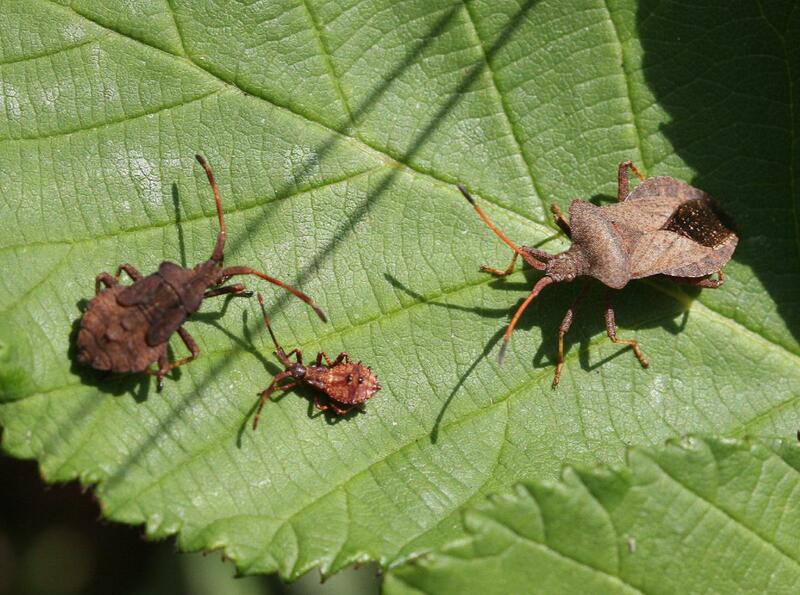 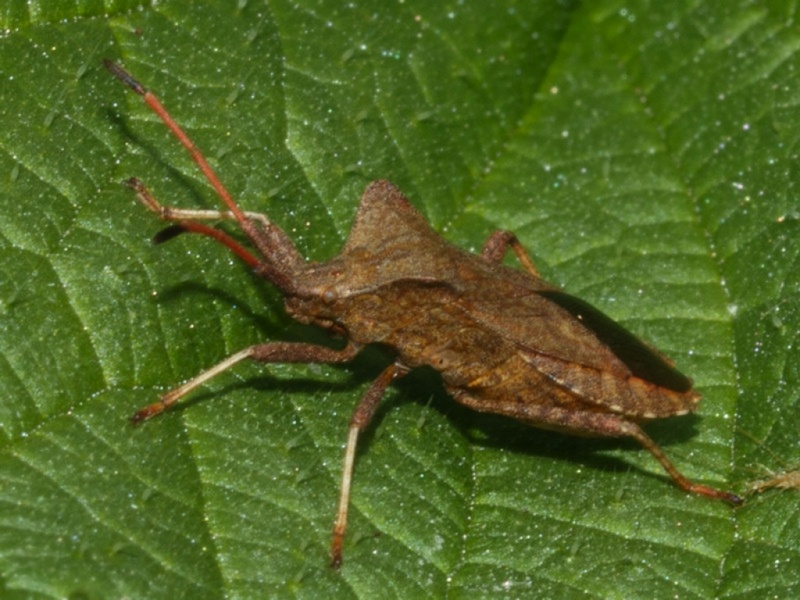 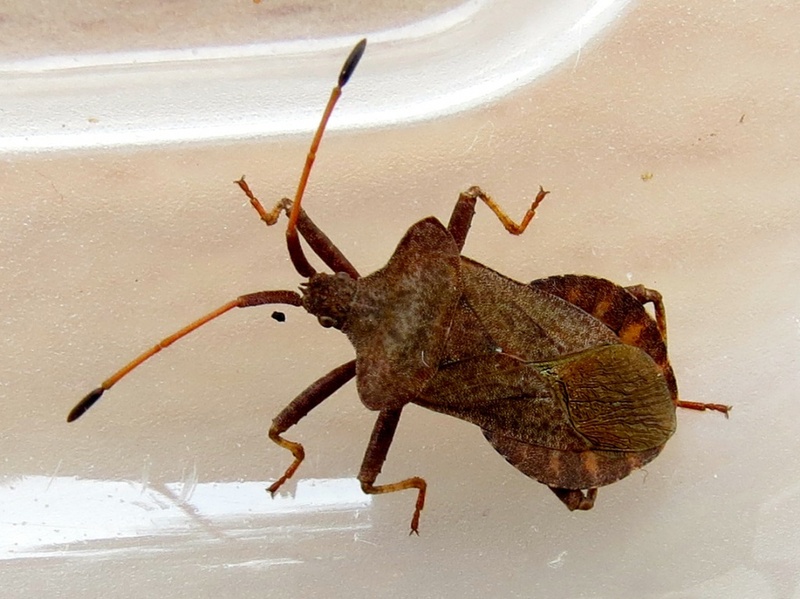 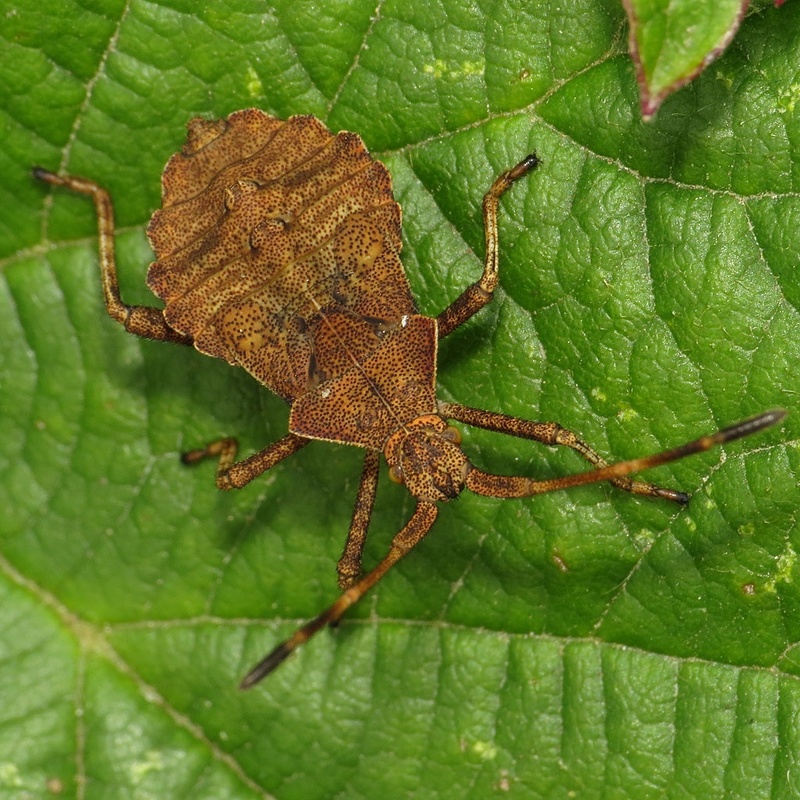 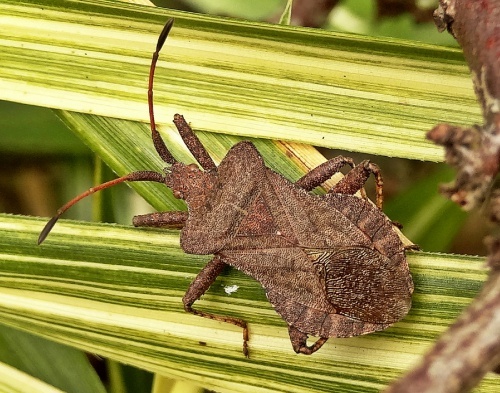 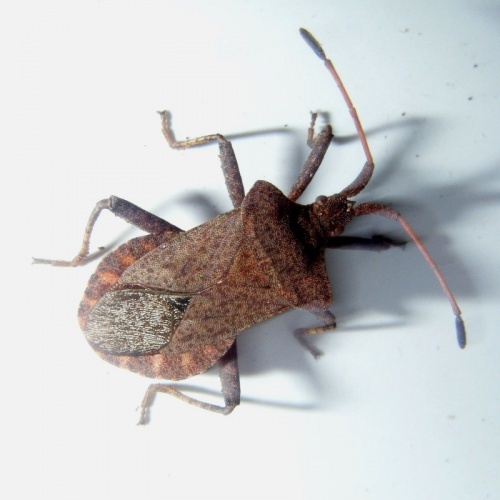 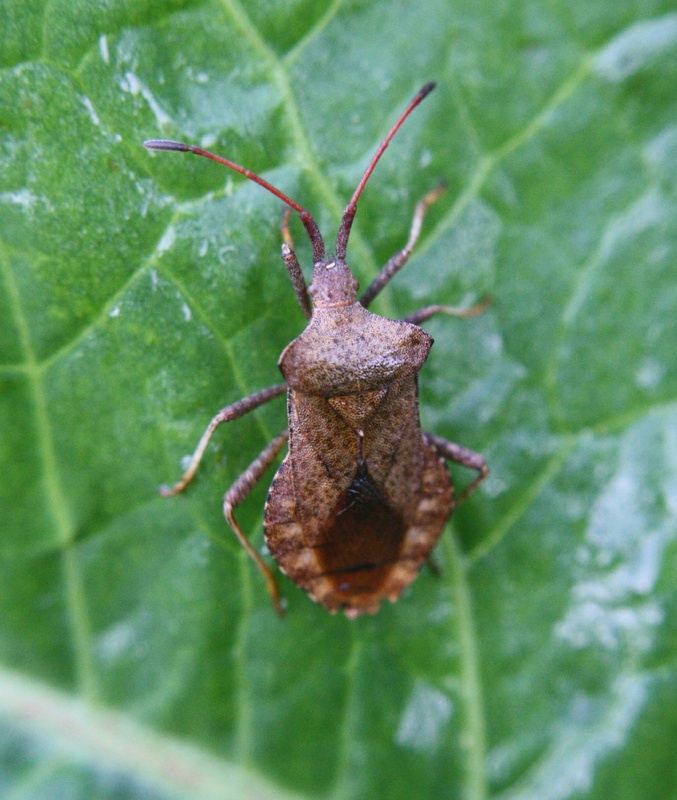 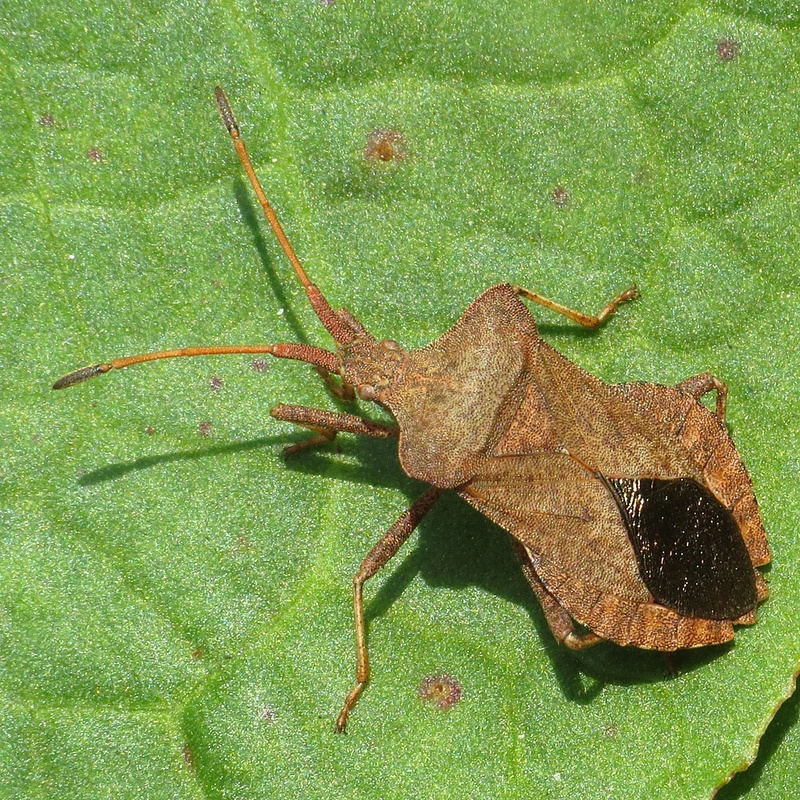 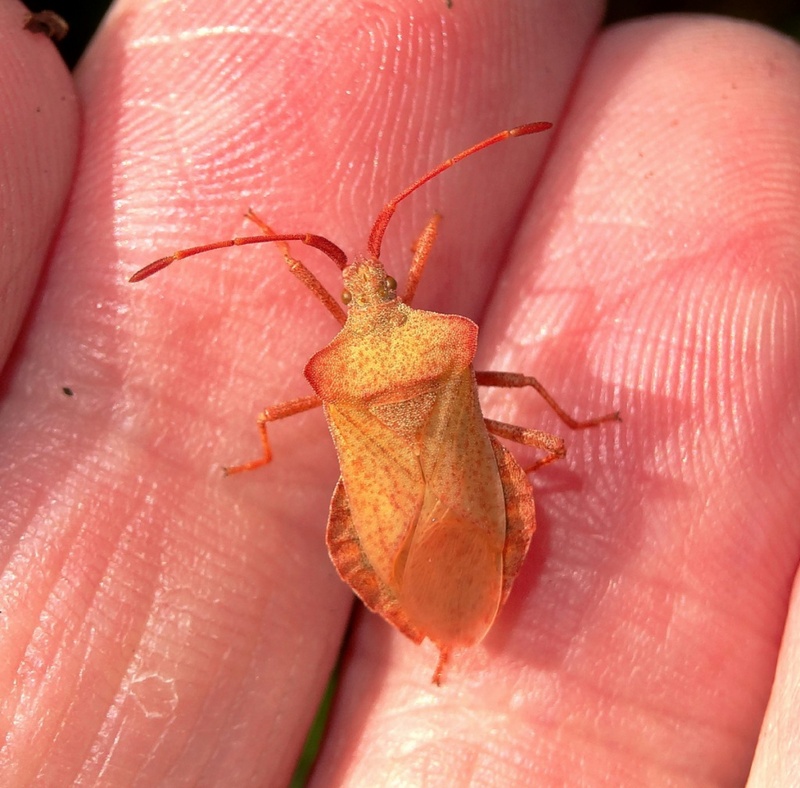 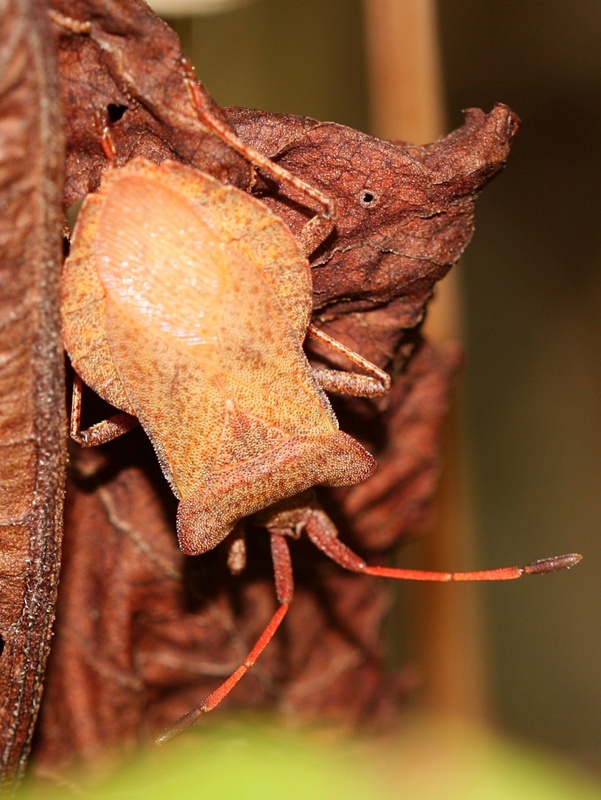 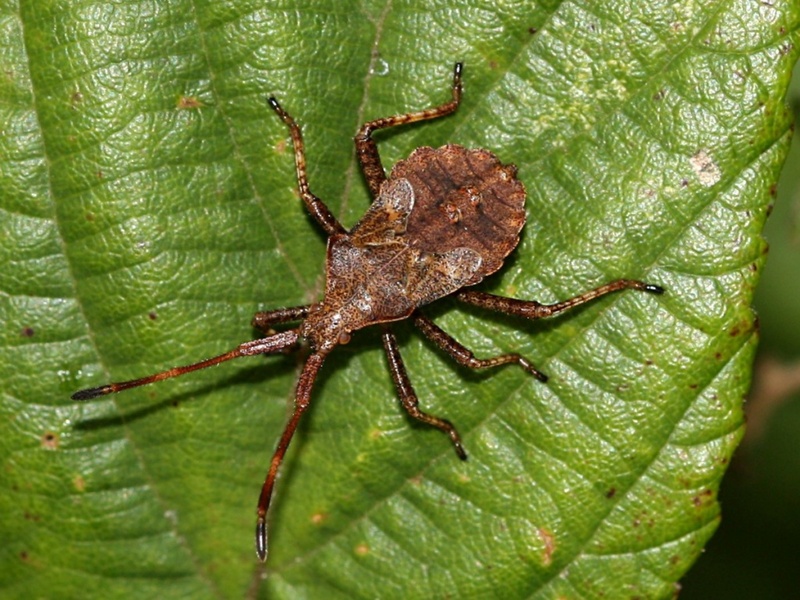 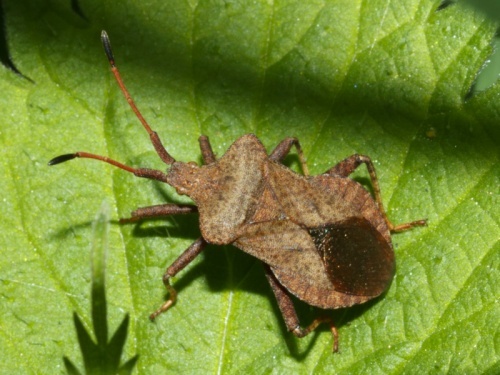 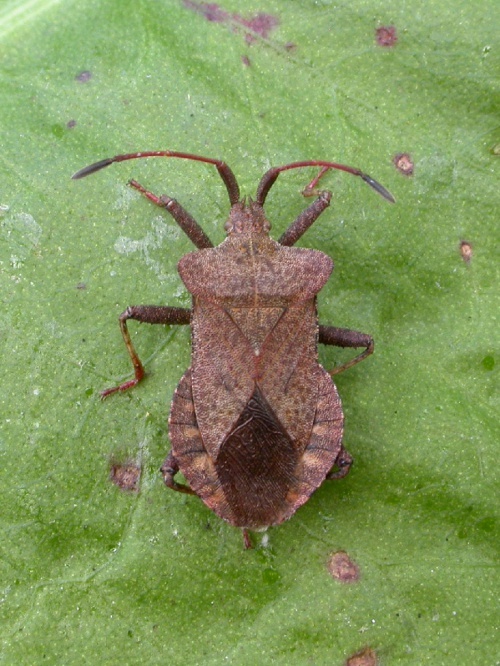 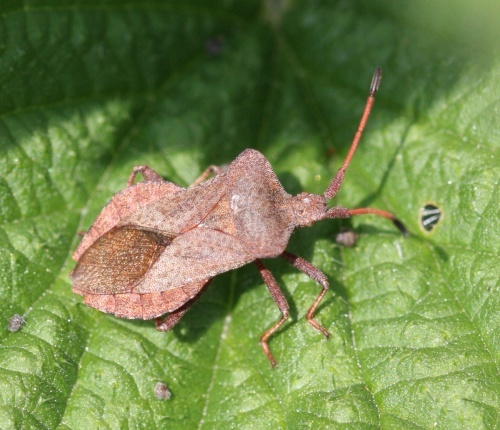 A large and mottled reddish-brown squashbug with a broad, oval abdomen. The two small projections between the antennae are diagnostic. 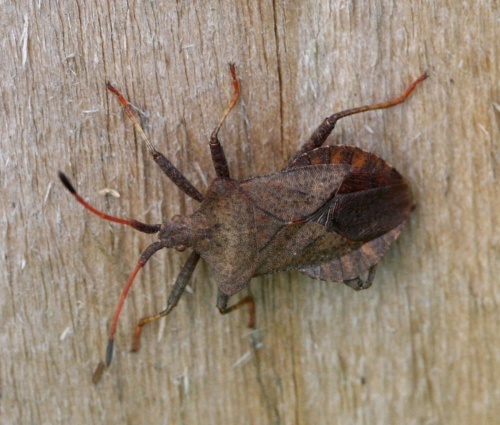 Various habitats, both dry and damp. All year round. New adults from August onwards. 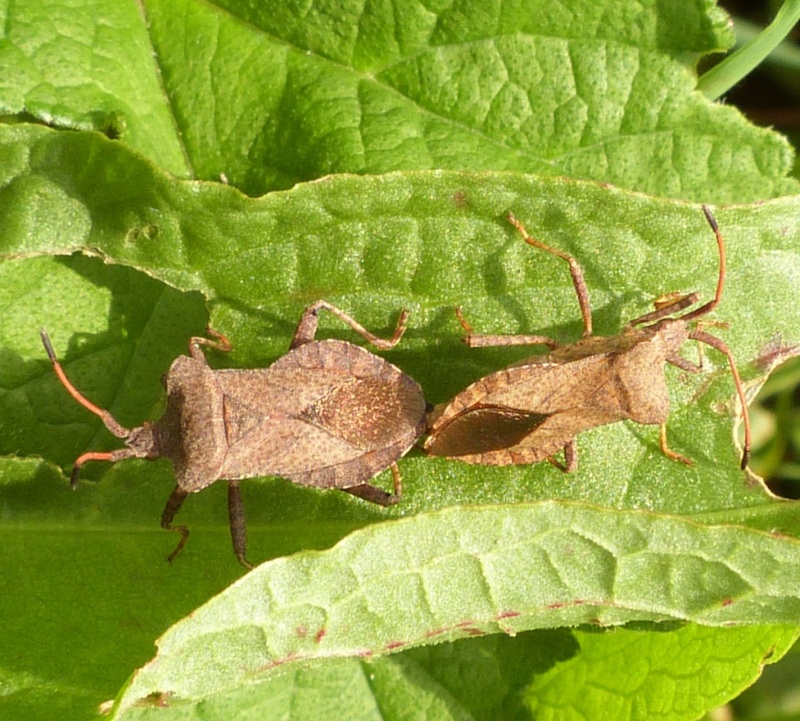 There is one generation per year, adults mating and laying eggs in spring. 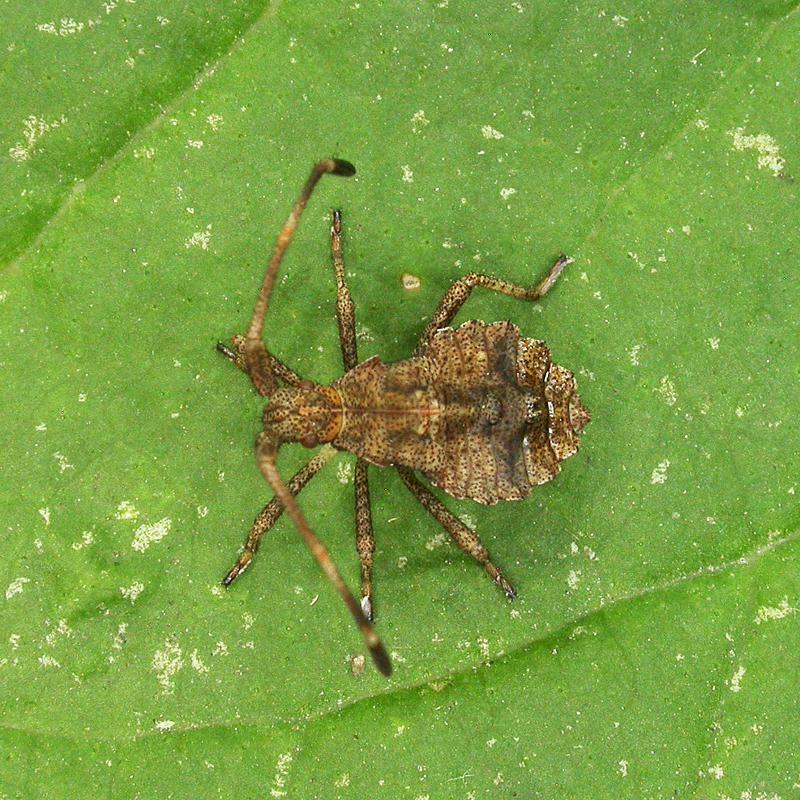 The larvae feed on Dock and other related plants in the Polygonaceae family.